Four months ago Nwabisa Tikana, Zodwa Mgcwaba and Nozuko Thabatha were janitors in Khayelitsha, but now they are unemployed. If the Social Justice Coalitionâ€™s (SJC) disquieting report on the City of Cape Townâ€™s appalling janitorial service delivery is anything to go by, being a janitor in Khayelitsha is an awful job. But these three women want to go back. Tikana, Mgcwaba and Thabatha sit on a wooden bench on the sandy pavement of Japhta K. Masemola road in Khayelitsha. 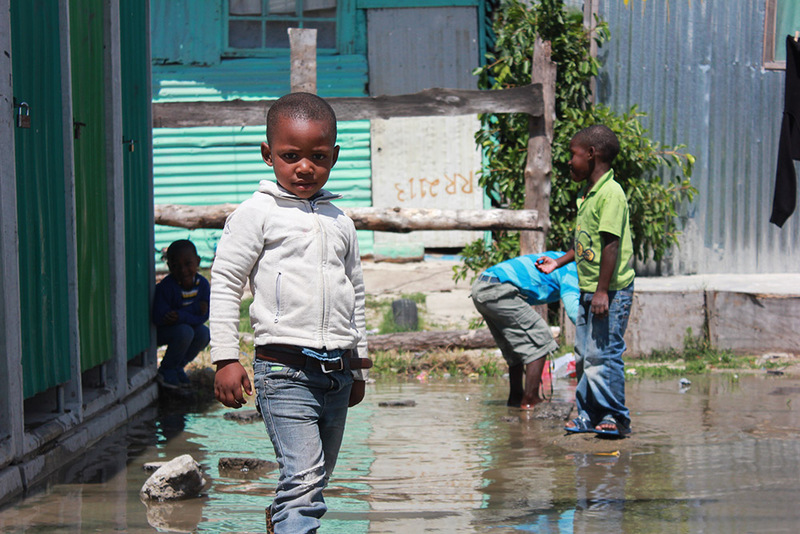 In the heat of the afternoon, cars hum by while children dart between shacks. This area is known as RR Section, and itâ€™s here where the women live and where they once worked. â€œWhen I got the phone call for the job, I was so happy and crazy, I was just screaming. I knew I had a hope,â€ says Zodwa Mgcwaba, a 44-year-old mother of five. 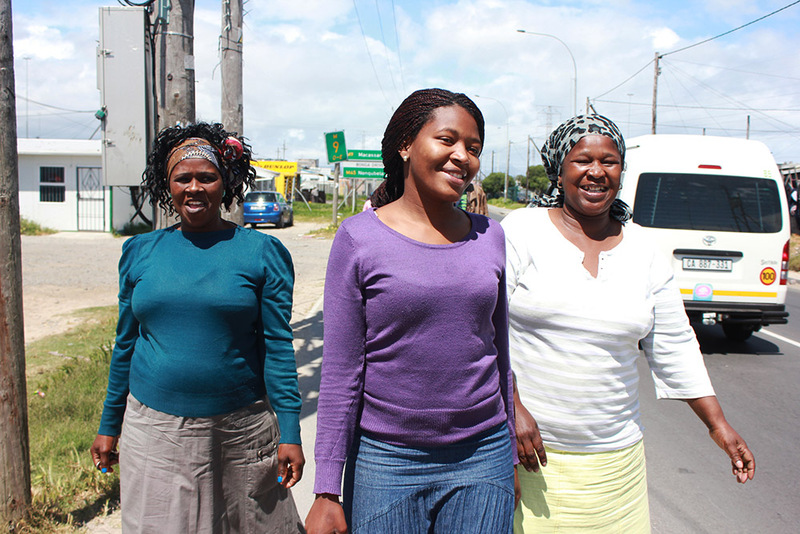 The three women began work on 9 December 2013, after placing their names on an application list for janitorial services at the Khayelitsha Site B municipality. But before they could start, they needed to be inoculated against infectious diseases, which meant waiting until late February 2014 before they could actually enter the toilets. Until that time, they mostly swept outside the structures. For these municipal janitors, work began atÂ 7amÂ and ended atÂ 5:30pm. The hours were long, but they were worth it because they put food on the table, the women explained. When they finally got their injections, they could begin cleaning the toilets. This involved rinsing them off with soapy water and a chemical solution, and then scrubbing them down with Handy Andy disinfectant. â€œWe brush until itâ€™s so clean you can eat the toilet,â€ Nozuko Thabatha says, her hands scrubbing an imaginary toilet. 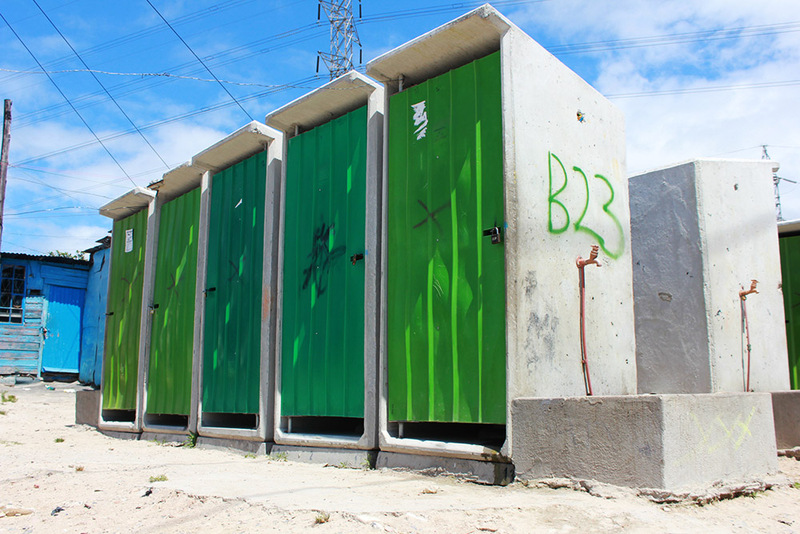 A social audit by the SJC, an NGO operating in Khayelitsha, found that a third of residents said janitors only clean their toilets one day per week. It also found that 52% of janitors did not have the necessary cleaning equipment and too few janitors were employed, which is perhaps why residents found their toilets dirty. The SJC’s damning report highlighted the negligence of City officials who failed to provide adequate sanitary equipment and cleaning tools for janitors. 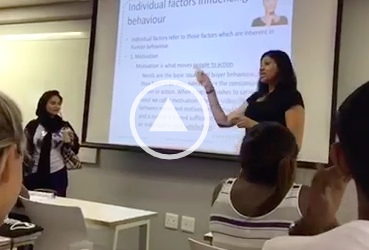 The SJCÂ responded to Sonnenberg’s questions in a write-up on the Daily Maverick,Â saying that a social audit is a “community monitoring tool” that emphasises systematic failures, rather than individual issues. In RR Section two groups of janitors, each made up of 12 people, were responsible for cleaning 310 toilets each day. The groups worked on alternate weeks. But the janitors this reporter spoke to said it was impossible for 12 people to clean 310 toilets in one day. Their biggest concern was that after two months of work, they had run out of the cleaning agents they needed to do their job. The City had failed to deliver the chemicals, they said, even after a visit from the janitorial supervisor in RR Section. The supervisor told the janitors to use water to clean the toilets, they said, but the toilets were too dirty for a simple rinse. â€œWe were worried because the community would shout at us and call us names. They say we are lazy, we just eat the money and we canâ€™t do our work. But we tell them we donâ€™t have the chemicals,â€ 25-year-old Tikana says. The former janitors were given protective gloves and masks to wear, but despite having a R60-million annual janitorial service budget, the CityÂ only provides one mask, leaving the janitors to re-use masks that got wet as they worked. â€œItâ€™s no good, becauseÂ tomorrow, I come again, and even when I put the mask on, I can smell that toilet,â€ Tikana says. Sonnenberg toldÂ the Daily VoxÂ that a “supply and demand issue affecting RR” has delayed the delivery process, and the City has worked toÂ resolve this as soon as possible.Â He added that the janitors are welcome to request more masks “if there is a requirement to it by a specific janitor”. Although the job was difficult, it was a means for the women to put food on the table for their families, they said. 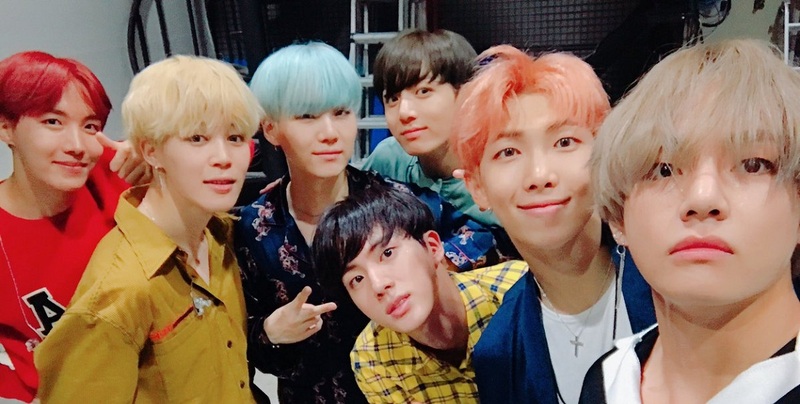 Their janitorial service contract ended in June, and they have since been unemployed. â€œThereâ€™s no life without a job. Itâ€™s so bad because weâ€™ve got the children. They are attending schools. What money is there for them?â€ Mgcwaba asked. As we wrap up our conversation, the women walk me to some of the toilets they once cleaned. 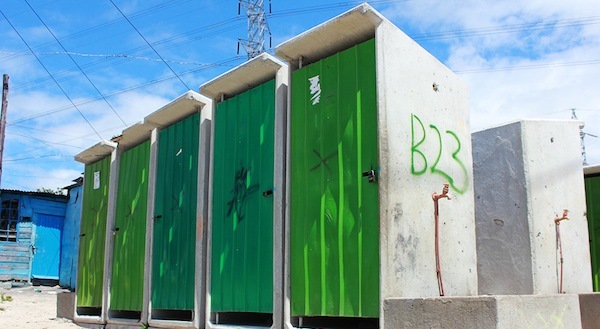 Around a corner and up a path, rows of bright green portable flush toilets standÂ near a clearing where kids play in large potholes of dirty water. 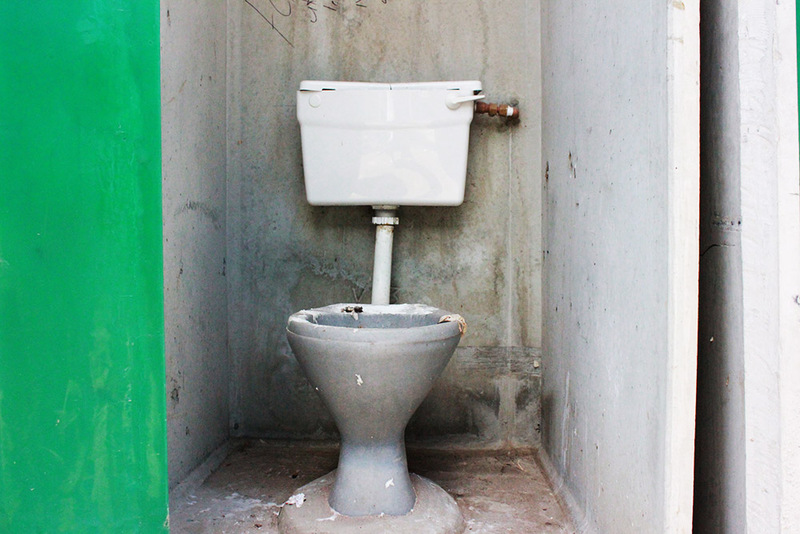 Most of the toilets areÂ locked â€“ residents own the keys â€“ but we findÂ one open toilet filled with brown murky water and faeces stuck to the toilet bowel and seat.Â I instinctively holdÂ my breath against the festering smell of human waste.Â This is the work the women hope to return to. â€œWe are willing to go back, because we have no jobs,â€ Mgcwaba says. How will they find work again? â€œOnly God knows,â€ says Tikana.